Do you know which rooms your guests love/hate and why? 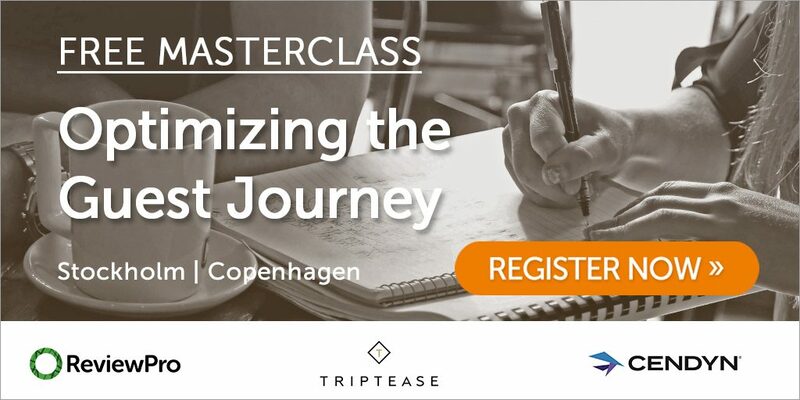 Join us for an exclusive event for hoteliers in Stockholm (30th August) and Copenhagen (31st August) packed full of real-world advice and practical takeaways. Have a sneak peek at the latest industry trends and best practices while enjoying a scrumptious breakfast on us! The event provides a fantastic opportunity to hear from three engaging speakers, network and of course, talk about everything related to the guest journey. From optimizing guest experiences both online and on-property, to creating more personalized interactions using CRM insights, you’ll leave with everything you need to know to ensure your guests feel really special.